According to a new rumor, Microsoft and Nintendo are teaming up in a big way in 2019. As you may know, the past week or so there’s been rumblings that Microsoft and Nintendo have some big plans for 2019 that include working together. However, specifics on what these plans could entail, haven’t really surfaced. 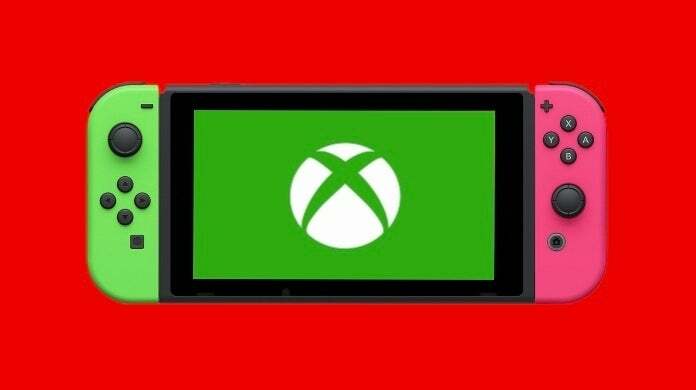 That said, according to Direct-Feed Games — which cites multiple inside sources — Microsoft is getting ready to release an Xbox App on Nintendo Switch and also bring Xbox Game Pass to the system via its new streaming technology Project Xcloud. Further, Microsoft also will apparently start publishing some of its first-party titles directly onto the Switch. More specifically, the games that the system can run natively and that make sense to be on the platform. Of course, all of this should be taken with a grain of salt. We’ve known Microsoft wants to get Xbox Game Pass on as many devices as possible, but it was presumed this would be limited to phones and hardware that isn’t in the console market alongside Micrsoft — i.e. PlayStation and Nintendo. It’s possible though, and when you consider that there’s already some type of precedent set with Microsoft releasing Minecraft onto the Switch, it doesn’t even sound too crazy. Lastly, there’s been multiple reputable sources claiming that Microsoft and Nintendo have some big plans together for this year, and this would certainly fit the bill. If this is indeed true, it’s perhaps another marker that Microsoft is dumping more of its eggs into the streaming and service basket, which means its console-making days could be coming to an end sooner rather than later. Unfortunately, all we can do is speculate and wait and see. If what Direct-Feed Games proposes is true, then that will be huge news and likely thus wouldn’t’t be divulged on anything less than a huge stage, aka E3. Anyway, as always, feel free to leave a comment letting us know what you think. Will this happen? Would you subscribe to Xbox Game Pass if you could play its games on Nintendo Switch and other console platforms like PS4? Gamasutra – Press Releases- GAMEVICE CELEBRATES FORTNITE SEASON 8 LAUNCH WITH LOWEST PRICE EVER ON ITS MOBILE GAMING CONTROLLERS!